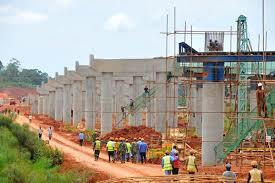 The Entebbe�Kampala Expressway, also known as the "Kampala�Entebbe Expressway" or the "Entebbe�Kampala Highway", is a four-lane toll highway under construction in the Central Region of Uganda. Uganda is one of the leading producers of coffee and bananas in the world. It is also a major producer of tea, cotton (including organic cotton), tobacco, cereals, oilseeds (simsim, soya, sunflower etc. ), fresh and preserved fruit, vegetables, nuts, essential oils, orchids, flowers and sericulture (silk). Opportunities include commercial farming and value addition, as well as the manufacture of inputs and supply of agricultural machinery. The sector is the second highest foreign exchange earner for Uganda with export revenues amounting to an estimated US$124 million in the year 2008. Large fresh water expanses are home to a wide variety of fish products. Opportunities are available for fish farming and establishment of more fish processing factories on other lakes other than Lake Victoria. Uganda�s fish is a delicacy in Europe and has recently penetrated the US market. With over 4.9 million hectares of rich forest vegetation, Uganda possesses abundant potential in areas like timber processing for export, manufacture of high quality furniture/wood products and various packaging materials. There are also opportunities in afforestation and reforestation especially of medicinal trees and plants, soft wood plantations for timber, pulp and poles. Uganda�s manufacturing output has been expanding by more than 10% annually over the last eight years. Opportunities exist in virtually all areas ranging from beverages, leather; tobacco based processing, paper, textiles and garments, pharmaceuticals, fabrication, ceramics, glass, fertilizers, plastic/PVC, assembly of electronic goods, hi-tech and medical products. Uganda has large under-exploited mineral deposits of gold, oil, high grade tin, tungsten/wolfram, salt, beryllium, cobalt, kaolin, iron-ore, glass sand, vermiculite and phosphates (fertilizer). A discovery of petroleum wells in the Lake Albert region has enhanced the sector. There are also significant quanties of clay and gypsum. Uganda provides special incentives to the mining sector with some capital expenditures being written off in full. Although significant efforts have been made to develop and rehabilitate the existing physical and non-physical infrastructure, potential investment opportunities still abound. In particular, transport & logistics and energy sectors still require further investment. With less than 10% of the mainstream capacity of 2,700 megawatts of power exploited, Uganda has the potential to be a major supplier of hydroelectric power to the entire East Africa region. Opportunities for investment exist for international multinational banking groups particularly promoting new or innovative financial products (i.e. Mortgage finance, venture capital, merchant banking and leasing finance) and also micro finance saving institutions, which propose to operate in rural areas. Insurance, in particular, is still a relatively young sector and offers several opportunities for investment.